The Ministry of Advanced Education and Skills Development (MAESD) formerly MTCU has implemented a new process for students enrolled in an approved Ontario university program that requires them to complete placements in a workplace as part of their program of study. The Government of Ontario, through the Ministry of Advanced Education and Skills Development (MAESD), pays the WSIB for the cost of benefits provided to Student Trainees enrolled in an approved program at Laurier and participating in unpaid work placements with employers who are either compulsorily covered or have voluntarily applied to have Workplace Safety and Insurance Board (WSIB) coverage. MAESD also covers the cost of private insurance with CHUBB Insurance for Student Trainees enrolled in an approved program at Laurier and participating in unpaid work placements with employers that are not required to have compulsory coverage under the Workplace Safety and Insurance Act. The Workplace Educational Placement Agreement (WEPA) Form has been replaced by the Postsecondary Student Unpaid Work Placement Workplace Insurance Claim Form. Placement Employers and Training Agencies (universities) are not required to complete and sign the online Postsecondary Student Unpaid Work Placement Workplace Insurance Claim Form for each placement that is part of the student’s program of study in order to be eligible for WSIB coverage. Instead, this form only needs to be completed when submitting a claim resulting from an on-the-job injury/disease. Please note that universities will be required to enter their MAESD- issued Firm Number in order to complete the online claim form. Please note that all WSIB or CHUBB Insurance procedures must be followed in the event of an injury/disease. 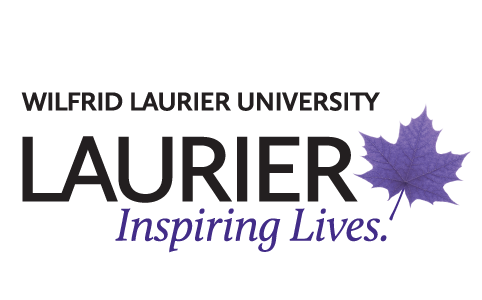 When the Placement Employer is covered under the Workplace Safety and Insurance Act, a Form 7 will be completed and submitted to Laurier within three days of learning of a work related accident. The Placement Employer agrees to complete a Letter of Authorization to Represent the Placement Employer and to provide it to the University along with the completed Form 7. The Placement Employer agrees that it will provide the Student Trainee with health and safety training and take appropriate precautions to ensure that the Student Trainee is supervised in order to protect the Student Trainee from health and safety hazards that may be encountered at the placement organization. The Placement Employer agrees to provide written confirmation that the Student Trainee has received the appropriate health and safety training. In the event of a claim, the Placement Employer agrees that it will review the Student Trainee’s restrictions and, where possible, modify the program as required in order to accommodate the Student Trainee to facilitate return to the program.